Friday 14th December 6pm-8pm and Saturday 15th December 10am-5pm. Fitzroy House, 10 High Street, Lewes. 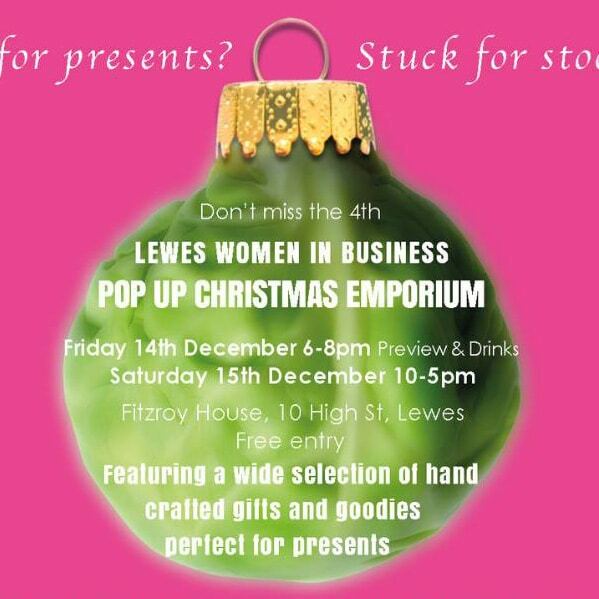 I will be taking part in this year’s ‘Lewes Women in Business’ pop-up Christmas Emporium. Come along to the atmospheric Fitzroy House, meet the artists and makers and browse a selection of unique and hand-crafted treasures. A perfect Christmas shopping opportunity. Festive drinks will be served on the preview night.